Hakainde Hichilema, Edgar Lungu and the Politics of Contrasts and Comparisons | Elias Munshya, LL.M, MBA, M.DIV. The campaign time has come in earnest. It seems all the parties now have a general idea of who is going to be their presidential candidate. It is game on. Without being sub judice, it is clear that after the discharge of the injunction against Rupiah Banda, the ECZ and several other interested parties almost certainly are taking him as the MMD’s presidential candidate. We, however, await the determination of the final matter to know for sure whether Nevers Mumba will bounce back to lead the MMD into the by-election. By far the winner on the campaign trail so far has been Hakainde Hichilema. Time has worked to his advantage. While the PF and the MMD were embroiled in bitter internal wrangles, HH had the time and support from his caucus to take his “Zambia United” tour across the breadth and depth of our country. This tour had taken him to Solwezi, Nakonde, Kapiri Mposhi and Kabwe. He has also been to Chama, Isoka and Kasama. If there is any candidate that has had a head start to this campaign it is Hakainde Hichilema. The infighting going on with his competitors has helped him sharpen his message. Those discontented with both the PF and the MMD have expressed support for Hichilema’s candidacy. Some MMD Members of Parliament such as Felix Mutati have now pledged to help campaign for Hichilema. It does look like this election will be his to lose. Even though Hichilema’s campaign has had all these strengths, his fragilities are also quite enormous. Hichilema only campaigned with his wife once: during the launch of his candidacy. And that was the last time we heard of his wife. In Zambia, most successful presidential campaigns must greatly rely on the help of spouses. The Hichilema campaign team should find a way of involving his wife. If she cannot address rallies, they should at least find a way to take of lot of pictures of her with her husband. It is not necessary for her to talk or to address masses like her husband, but it will be good for the optics of Hakainde Hichilema to have Mrs. Hichilema appear with him. 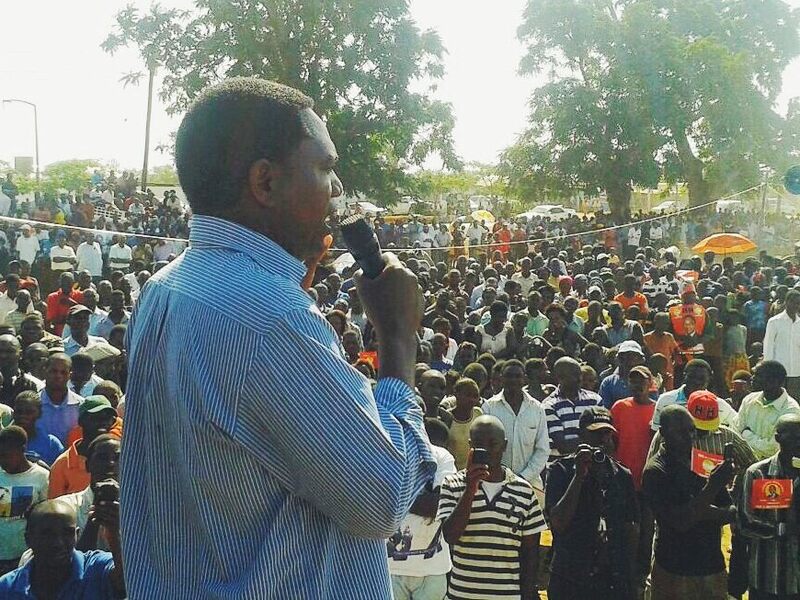 Generally, Hichilema appears stiff and rigid on the campaign trail. He has tried to loosen up a bit by biking along other supporters in Chipata. He has also been pictured dancing to some tunes on rallies. That is positive and helps shed off the stiff, business-like and serious appearance. As stated earlier, the other thing HH needs to work on is to make more appearances with his wife. This is important to the electorate who for some reason still highly regard family unity. The second reason is that spouses somehow humanize candidates. There is something that a spouse brings to a campaign that a candidate cannot. When we look at Michael Sata’s campaign, his wife Christine Kaseba helped humanize him and brought support on her own. Chiluba had Vera during his 1991 campaigns. And so did Levy Mwanawasa, have Maureen, during his 2001 campaigns. I just hope that Hichilema will make his wife a little bit more visible. She has a lot to add to the campaign. PF presidential candidate Edgar Lungu has already identified this reality and has his wife by his side during campaigns. 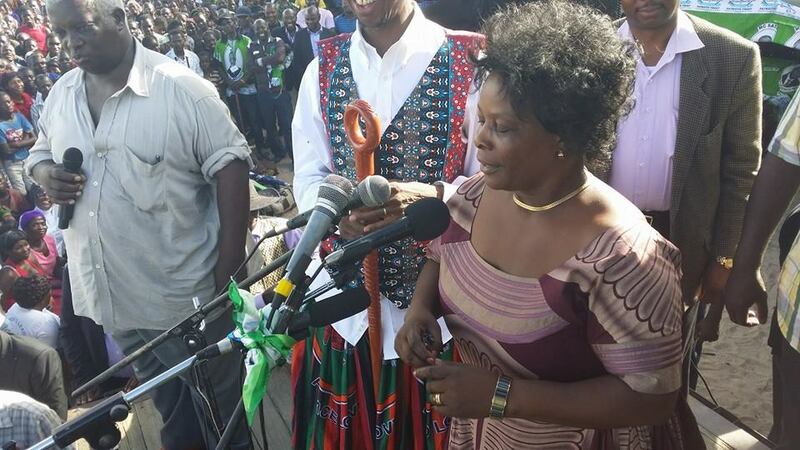 She spoke at Edgar Lungu’s rally in Mansa making her husband to quip, “this woman could as well grab my Chawama seat”. That exchange of words can only work to the advantage of Edgar Lungu. It shows that they both as a family are ambitious and want to rule the nation. It also shows that both Edgar and his wife are susceptible to the temptation and trappings of office: a reality that rarely works against any political couple. Spouse involvement in politics also gives the people something to talk about apart from the real boring issues. In politics real issues could be monotonous, repetitive and uninteresting. But what can never be boring is the accent of a wife of a presidential candidate. People would like to gossip about how a spouse wears her Chitenge and how she does her Brazilian hair. They want to talk about how she looks and what she says. In the end, such talk only goes to humanize candidates. It also translates political rhetoric into a more common conversation. And today, between Hichilema and Lungu, Lungu looks more human, and casts a common man image to the electorate. In the ballot box, people would more certainly vote for a candidate they feel identifies with them. Hichilema has a lot of good things going well for him. But he needs to repackage his optics and his wife and family could help him do that. Another matter of great interest is with regard to “tribal perception”. When Lungu went to Mansa, speakers included Kalaba, Inonge, Bwalya and Lubinda. When Hakainde Hichilema spoke in Mumbwa and Kabwe campaign speakers comprised Maureen Mwanawasa and Charles Milupi. That being the case, it appears like Lungu has a more diverse team than HH appears to have. This is not a matter of factual reality, but a matter of perception. And perceptions do matter in Zambian politics. Hichilema needs to deliberately diversify the team he takes on his campaigns. When he went to Muchinga this week, he appeared with Felix Mutati. But he needs to do more than just appear with Mutati. Diversity must appear sincere on HH’s part. It should not appear like he is just trying to work with Mutati to win votes. There has to be some changes in HH’s campaign team to show that he is willing to genuinely work with other political players, particularly those coming from the Northern-Muchinga corridor. The Hakainde campaign team should ask themselves, why is it that in spite of a lot of hard work in this area, his party and campaign still gets perceived as regional or tribal? They need to quickly work on some optics. In Kasama when he visited the Chitimukulu, it was very disappointing that no one came to HH’s defense on time. By the time Mutale Nalumango was responding, it was already too late and Father Frank Bwalya had already taken over the narrative reinforcing the idea that UPND had lied about the Chitimukulu endorsement. What HH needs is a quick response team that handles sensitive tribal issues, especially with regard to Northern-Muchinga-Luapula corridor. This corridor could prove decisive for HH. If he cannot find those that can willingly work for him, he can at least hire someone to do that for him. This campaign period will be about real issues. But sadly, it will also be about feelings, perceptions, and other irrelevant things. A candidate wins not because they have handled huge issues very well. Candidates win because they connect with the voters sometimes at very personal levels. It is in this regard that we must caution those that are underestimating Lungu simply because he did terribly during the Radio interview. Lungu might not be the best speaker, but if he were able to connect with the common man on the street, it would be difficult to beat him. With good management and change in optics HH could as well become that inspiring politician demanded by the common man and woman. I do not support PF but I feel that your observations are very correct. If I had a way, I would have recommended that the UPND include you in their team of presidential or party advisers. In my view your opinions are objective and your advice is timely. UPND supporters should get this advice and should not just defend the status quo. Criticism is good medicine for reformation disease. As a true patriot, it pains me when I look at where we are as a nation. May God give us a wise leader now who will transform Zambia into what it should have been. Economically strong and equal or acceptable distribution of national wealth. 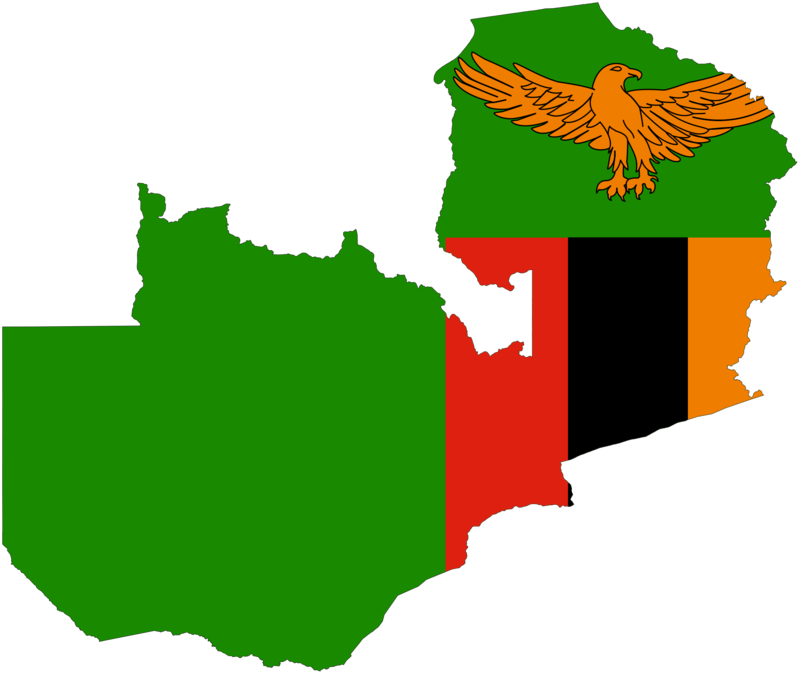 I think we should also be mindful of the fact that Luapula is a stronghold for PF, hence Lungu can easily get MPs from there (e.g Kalaba) as well as from a pool of MPs from CB who hail from Luapula (Yamfwa Mukanga). By contrast, look at Lungu’s high profile entourage in Mongu today; Lupando Mwape, Kambwili, Chulumanda, Siamunene, Simuusa, Greyford Monde. Only Inonge is the high profile Lozi in that team, though Lubinda may also fall in that category but some may dispute his “Mongu” ethnicity. When we write, we try to as much as possible give advice and this advice can be taken or rejected. PF does not suffer from a “tribalism” perception at the moment, but the UPND does. The party that needs to work harder on this perception is the UPND. For some reason, Lungu and Inonge seem to have redeemed the PF’s image it had under Sata. Problem for HH is that he must make some strategic moves to work on the perception of the UPND as a tribal party. Objectively, UPND is more balanced than many parties. But politics is not just about objective observations but also about perceptions and we have tried to ask UPND managers to work on that. They have done well so far, they are talking with Katele, Mutati and others, that is a good move. My suggestion is that UPND or HH should hire a Luapula-Mushinga-North, response team or individual to react in time when HH gets accused of being tribal. Again, it is up to them to take our advice or not. My dear comrade Yakwetu, there could be serious sence inthe observations made above. I think Munshya means well for UPND. This is what I could qualify as constructive criticism. Read again and you will see salient points that boarder on public perception about the party. He has provided clues on how to end these negative perceptions about the party or about HH as an individual. No real analysis here. Just like the average Zambian voter. You are supposed to use your platform to point voters to real issues. Ati he should bring along his wife? Please ba Munshya! I have followed your analysis from day 1 and like it or not, you have a leaning to a certain candidate. We have provided some advice to the Hakainde team through our writings. We are glad that they seem to be hearing us. We pointed out two major weaknesses in HH’s strategy. First, he could do well by bringing his wife close to the campaign. We are glad he has done so. Second, we advised HH to manage the “tribal” perception. We know HH is not a tribalist, but nevertheless it is important for him to work on optics and to reverse the perception. Today we are glad that he seems to be reaching out to the North-Mushinga-Luapula corridor.